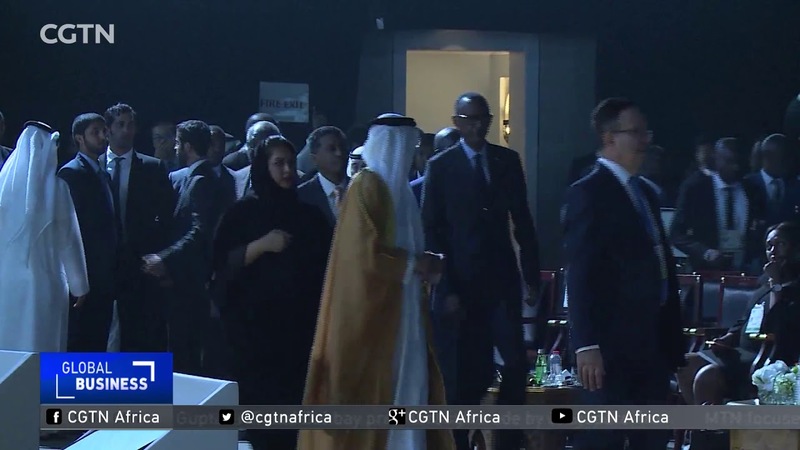 African officials, including four heads of state, convened with international CEOs at a summit in Dubai. It’s part of Dubai’s push to position itself as a link for potential investment on the continent. Experts have highlighted that the continent requires tens of billions of dollars in investment in infrastructure, energy and other sectors. That’s investment that Emirati officials hope will be channelled through Dubai. The number of African companies registered in Dubai jumped to 17,000 last year, an increase of 41% from 2015. Trade volumes between the UAE and Africa total around $35 billion and have been growing at a double-digit rate annually. Rwandan President Paul Kagame has told the meeting that Africa is implementing reforms at a face pace by forming regional eleconomic blocks.